Two nights ago in a debate in Chesterfield County, Don Sowder was asked specifically to comment on negative campaigning. Any person who attended would have heard his seemingly sincere and plaintive words – how much he just hated, just hated, just hated negative campaigning. 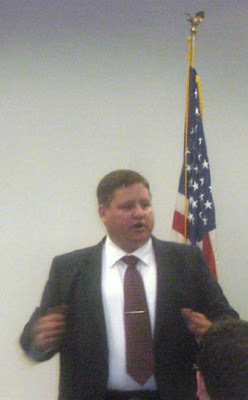 He is the incumbent supervisor from Midlothian District and one of the supervisors on the county board of five – all Republicans. There has been some sniping back and forth, but rather fact based, and for some time the local papers and blogs have examined the issues. Both his challenger, Dan Gecker, an independent, and Sowder have insinuated that developers are too close to the other. It has been politics as usual but up to now on a rather civilized and respectful basis. 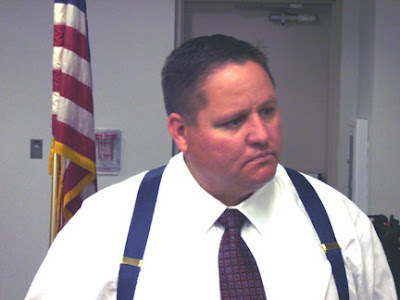 Scandal in Chesterfield's Sheriff's Race? The Sheriff’s office pulls a bunch of inmates out of the county lockup and brings them over to the house of a relative of the Sheriff’s to clean up the yard and carry away loads of trash. Sound like something out of “The Dukes of Hazzard” or “Porky’s”? Actually it was the fairly recent practice in Chesterfield County, or so alleges Perry DeMay, candidate for Sheriff of Chesterfield County. On February 1, 2000, the Sheriff’s inmate work force performed work at Sheriff Clarence Guy Williams’ Jr. cousin’s house. • Snow was cleared from entrances to the house. • Salt was applied to walkways. This is a clear violation of the laws of our Commonwealth and the trust of the citizens of Chesterfield County. The Sheriff’s Office does not perform these services for all of their county taxpayer’s. I have challenged all 13 candidates for Chesterfield County Board of Supervisors to take an online test that can help inform county voters on 6 November as to where they fit on the political landscape. If you are a voter, I would challenge you to also take this test – here is the LINK. I don’t pretend that this should be determinative. But I do think it is informative, and that participation in this exercise will be informative in itself. Following is the message I sent to the candidates and if you are an eligible voter in the county, I suggest you encourage your local district candidates to participate. Results will be published here prior to the election. Chesterfield County nestled in the bosom of the James River, bedroom community for Richmond City commuters, and a patchwork quilt of public soccer fields and shopping malls and . . . well, not really much else. It’s a sleepy contented sort of place, blighted to the east by the gradual crawl of lower class whites, blacks and Hispanics, that nudge their middle and upper class white neighbors to leap frog again and again further west into the once verdant county, and now leaping all the way into Amelia and Powhatan. A year ago November the people of Virginia entered the voting booth and amended the state’s Bill of Rights to discriminate against the state’s gay population. The argument was that this was necessary and essential to protect the traditional family. Yes, but what is a traditional family? Is this the traditional family? 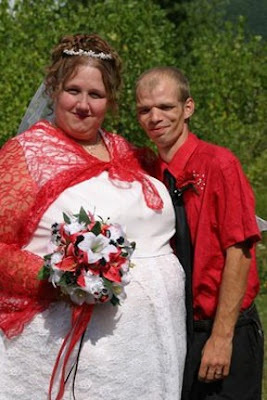 Or is this the traditional family? Or perhaps this – no, not until 1967, when the United States Supreme Court unanimously ruled in Loving v. Virginia that anti-miscegenation laws are unconstitutional. But is this not a family? It’s a funny thing how stereotypes can influence one’s bias isn’t it? Our state has a spectrum of people with all sorts of God given traits – but in a democracy, each person is supposedly equal under the law – and have an equal right to life, liberty, and the pursuit of happiness. Sadly, too many Virginians so cavalierly dismiss this notion – even many people of color and women who not so long ago faced a bias themselves. In the 400 years since a European first set foot on what would become Chesterfield County, Virginia, and in the 230 odd years since Virginia joined in this experiment in democracy, and in the 140 odd years since our Civil War, one might suppose that some sort of reasonably effective progressive movement might arise out of what is now a population of over 300,000. But alas, it hasn’t. The rather stuffy but tenacious Republican Party holds firm reins over the county as some sort of entitlement, controlling all five supervisor seats and filling most of the county’s policy and management positions. With an election coming up in less than two months, is there a change in the wind? Washington Irving imagined a Rip Van Winkle who fell asleep under a tree only to wake up twenty year later. Imagine for a moment that you fall asleep tonight and wake up on the morning after next year’s presidential election, November 5, 2008. Now, honestly, try and imagine how happy you would be if you picked up the morning paper on that day and read “[blank] WINS ELECTION”. Substitute the current candidates for [blank] and rank your level of happiness to the news. Be sure to NOT base your decision on what you think is the probability of that person winning, or on who you are currently supporting, but on how happy or unhappy you would be after being asleep from now until after the election and awake to the news. I took the test on myself and here are my results (on a +10, most happy, to a -10, most unhappy scale). And I was surprised at how this point of view helped me adjust my choice of whom I should really support. It is a bit like the concept of following your bliss. what souls are these who run through this black haze?" After living abroad almost ten years in both Saudi Arabia and in The Netherlands, one of the most upsetting and glaring aspects of American life I experienced on my return was the apathy and un-involvement of the average Americans I met. They seldom had the least interest in the governance of their community, scant interest in world affairs, and little sense that they, as individuals, could make a difference. The human race in 2007 stands at a crossroads, faced with the complexities of the political and cultural and technological realities accumulated over more than 4000 years of recorded history. And we are being hurtled into the shadows of an approaching unknown – un-experienced by our species and most likely pivotal to our species’ future. And perhaps the real and ultimate test of our religious and our spiritual strength. But constrained by the trappings and vested interests of established religion, there seems to be little promise. The pomposity, the religiosity, the arrogance, the hypocrisy that their intervention brings to our spiritual quest – all being human intervention, of oft well intentioned ecclesiastics – and often an obstacle to the universal human longing for connection with this universal and magnificent mystery we call by many names – and which is God to all. Although I’ve been playing with computers and computer applications since an IBM 1620 was delivered for faculty and student use to the University of Richmond in 1964, I still am amazed at some of the things computers enable, and especially the values available on the Internet. One recent find I’d like to share with my readers, and I hope you find it as engaging as I did - follow this LINK. Cantor Banter – Or What The Hell Is This Guy Doing To Help The Country? I suggest anyone in Virginia go to www.cnn.com and search under “earmarks” and then under their representative in Congress and find out if they are sharing their earmark requests – if they are transparent on these requests – if they are willing to be accountable for the earmark requests they make. I live in Eric Cantor’s district - the seventh district in Virginia, and when asked by CNN to disclose his earmarks, the response was “no response”. The definition of insanity is doing the same thing over and over and expecting different results - Benjamin Franklin. 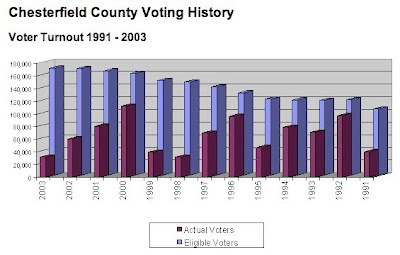 The overriding dynamic in Chesterfield County, in my humble opinion, is clear but hardly recognized and seldom discussed. It is the continual white flight west ahead of non-white encroachment that lowers property values and reduces the attractiveness of the attendant school districts. Middle class whites move to protect their real estate equity and to insure that their children have the better educational opportunity. It’s taken 400 years to get us here – I mean the Chesterfield County, Virginia and its 300,000 population that exists ostensibly as a bedroom community for the city of Richmond. I grew up here, went to high school here, and after a long absence have returned to the area – and I’m appalled. The first election I went to had not one Democrat on the ballot. Now I had been a small business owner, a long time business consultant to major companies, and for most of my life a Republican – but I found that local politics was still very much in the tight grasp of a few Republican good ole boys, hardly unchanged for decades. And that riled me to no end, as I am firm in my belief that a vigorous debate of ideas is essential to the evolution of a democratic society. What arrogance is this to go out on such a limb so early? Well I can tout my bona fides that out of grad school I spent four years in a small corporate planning group reporting to the executive committee of the then world’s largest chemical company, as a futurist and technological forecaster. I could mention my lifelong interest in futurism and strategic planning. Or my heightened political junkiesm in my semi retirement. But truth is this is not based on some formal extrapolative or normative crystal balling – it is entirely an intuitive conclusion and I would be interested in anyone else who is willing to stick their neck out and make an early prediction. Are You In A R.U.T? What is R.U.T.? RUT is Ritualized Undertaking of Tasks and it seems to be as characteristic of humans as it is to most of our brother and sister species in the natural evolution – an adaptive behavior that can arguably be assigned as one of the strong indicators of survivability. From the honeybee to the gray squirrel, from the nuthatch to the pacific salmon – all seem to have the predictability of repetitive behavior somehow hardwired in their small or large brains. And undoubtedly we as human animals share in this natural addiction. However, the unique characteristic of our species – consciousness and technological achievement – have catapulted us far from this need for natural discipline and we tend to applaud and revere those who do escape this prehistoric tendency and rise above the strong urge for ritualized behaviors. There is an unwise movement in our midst to retaliate against NBC for their making public the mailing they received from the Virginia Tech killer. This movement’s argument is that this release will somehow both give notoriety to the killer and prompt others to follow his example. They propose a nationwide boycott to punish NBC and to prevent further examples of this in the future. I strongly object to their methods. My objection is that this approach of boycott is completely unbalanced in that it narrowly focuses in on one specific network event. They seem not to take the entirety of NBC news in balance. Their approach, if logically followed could say that a newspaper that printed a Cho photo is just as liable for boycott. Or the 7-Eleven that sold that newspaper issue could reasonably expect picketing. Let me begin by saying I do applaud the energy and altruism that I sense your blogging represents. But I find it troubling that you don’t allow replies on your own site, so I reply here on mine. I take exception to your hyperbole over the NBC airing of the murderer’s tapes. You violate your own premise by suggesting the next atrocity could be committed “by some sicko attaching a camera to themselves as they walk down a hallway perpetrating such heinousness”. 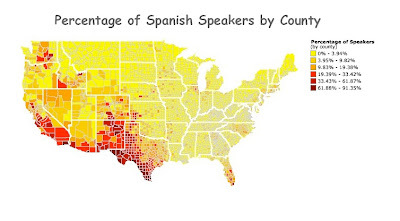 Humm, I wonder if someone reading that will get an idea? A few months ago while in a local convenience store I noticed the clerk was reading a book and on asking him about it I learned it was “The Singularity is Near” by Ray Kurzweil. It intrigued me such that I checked it out from my local library and found it fascinating and on pursuing the author on Google I came across TED. Now TED is a California conference of elite thinkers open only by invitation and a $6000 conference fee. But wonderfully I found that many of their presentations were available both on their website and as downloadable podcasts. I have finally finished viewing the available downloadable presentations – about 26 hours worth in total – and they have been a most amazing experience. One I wish to share with all who value ideas and who are open to the broader call of a humanity I hope is in most of us. As regards our local and national political situation, may I suggest that we stop for a moment in our blogging and reflect. I find that continued preaching to the choir in this echo chamber of blogs, while perhaps some sort of reparative therapy, does little to move any us towards a better future. Some might suggest that blogging would open up a whole new avenue for constructive conversation, adding a new and immediate network to bind us as a people. Instead it seems to coalesce into the polarity of two camps – likes cats hissing at each other. The world outside, however, keeps going on, while we are hurling epithets across the divide, unable to find common ground, and distracted from looming crises that will impact all regardless of their position on the political spectrum. Even at an old age of 63 I’ve retained a lot of my childhood idealism and sense of American government that was taught by equally idealistic history and social studies public school teachers. The words – actual words of heroic and enlightened Virginians still ring in my ears – patriots such as Thomas Jefferson and Patrick Henry. So Senator Deeds I make no apology for holding you up in comparison. You are a lawyer, even hoped to be the state’s top cop – so let me take you through this piece of my logic. • Citizens should be law abiding. • Ignorance of the law is no excuse. • Citizens can’t pick and choose which laws they will obey. • To selectively enforce laws rather than consistently enforce laws would deride respect for the law. • It is reasonable that Virginians equally respect all laws in the Virginia Code. • It is unreasonable for Virginians to presuppose what Virginia law may be in conflict with federal law or federal court ruling. The featured speaker at tonight’s Chesterfield County Democratic Committee (CCDC) was Virginia State Senator Creigh Deeds and a packed house awaited his remarks. (As I’ve yet to be booted from the committee – if the CCDC is representative of progressive democratic ideals then the Republican equivalent must meet in white hoods.) So I did a bit of Googling before the meeting and found little to excite me about this politician – his 2007 legislative résumé’s top two tags were “hunting” and “police”. To his credit he did propose a more balanced and fair redistricting policy but it is now dead and maybe that tells a little about his political prowess. The above was a headline in recent news. General Pace is the chairman of the Joint Chiefs of Staff. He compared homosexuality to adultery. He went on to say he does support the current “don’t ask, don’t tell” policy for the armed forces. And he stated, “I believe homosexual acts between two individuals are immoral and that we should not condone immoral acts." I’d like to argue that there are troubling inconsistencies and repercussions from such statements from someone in such a high office. Let me suggest a few. If adultery is likened to homosexuality, then is an individual who is an admitted adulterer, as are all but one of the Republican presidential contenders -- and also Gingrich should he opt to enter the race -- too immoral to become commander and chief? Are all the legally married homosexual couples in Massachusetts automatically immoral? 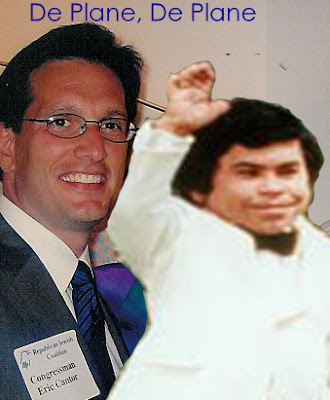 With all the issues facing America, Virginia’s 7th District Congressman Eric Cantor appears to have the statue of the late Herve Villechaize when he makes national news by crying out on the floor of the House that Speaker Pelosi is flying in too big a plane, back to her district in San Francisco. When, oh when, are his contingents going to wake up and see this excuse for a Congressman for the Republican lap dog that he is? I ask again, as I’ve asked before, just what has Congressman Cantor done for his district, for Virginia, or for the nation, that anyone can remember? And why in a district of 700,000 can’t we find a candidate with broad unifying appeal, a vision of the future that is inclusive, and who brings ideas to solve our common problems? Jesus, as far as anyone knows, never said a word about stem cell research, never a word about abortion, or never a word about homosexuality. But our American fundamentalist Protestant churches seem suspiciously intent on finding vague and ambiguous meanings in a few isolated verses to support, what I allege, are their preconceived and biased points of view regarding these issues. And they do this while completely missing the overriding message of Jesus. They form churches that act more like country clubs without the golf courses, and pretend that sitting in the pews an hour each week gives them the moral superiority that will convey them to the front of the line at the Pearly Gate. Few of these churchgoers can abstract themselves for a moment and realize the circularity of, in the case of Southern Baptists for instance, of having their elderly pious male deacons carefully select each of their pastors such that this bias is perpetuated and even accentuated. Who The Hell Is Congressman Cantor Representing? A bill intended to implement the remaining 9/11 Commission homeland security recommendations – Eric Cantor voted NO. A bill that would raise the minimum wage from $5.15 per hour to $7.25 over the next two years – Eric Cantor voted NO. A bill that would expand federal funding of embryonic stem cell research – Eric Cantor voted NO. A bill that would require the government to negotiate Medicare prescription drug prices with pharmaceutical companies - Eric Cantor voted NO. A bill intended to make college education more affordable by gradually reducing the interest rate on need-based student loans issued after July 2007 from 6.8 percent to 3.4 percent – Eric Cantor voted NO. A bill intended to encourage development of alternate sources of energy. 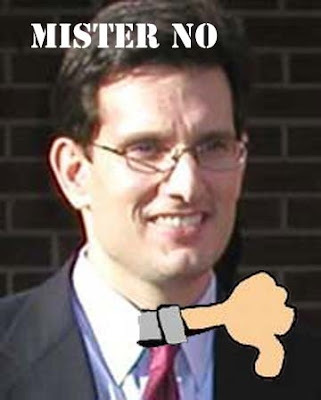 - Eric Cantor voted NO.